In most NHS organisations, end of life support is offered to patients, their families and significant others of those expected to die. But offering bereavement support to families of patients who die suddenly or unexpectedly is a challenge, one that many care settings do not meet. This is why the Swan model of end of life and bereavement care was created. Instigated at the point of recognition of dying, the model (see box below) is used to support care throughout end of life, into bereavement and beyond. 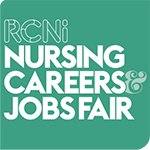 Launched at Salford Royal NHS Foundation Trust in 2012 when I was its assistant director of nursing, the scheme is now in place in more than 50 trusts in England. at the Pennine Acute Hospitals NHS Trust in February 2017. The initiative aims to promote dignity, respect and compassion at the end of life, and provide excellent, individualised end of life and bereavement care for every patient and every family, every time. A swan sign is placed on the door or curtain of the area in which the dying person is being cared for. Staff inform the family wherever possible of what the Swan model means, and where the swan sign is displayed, relatives can have open visiting around the clock. 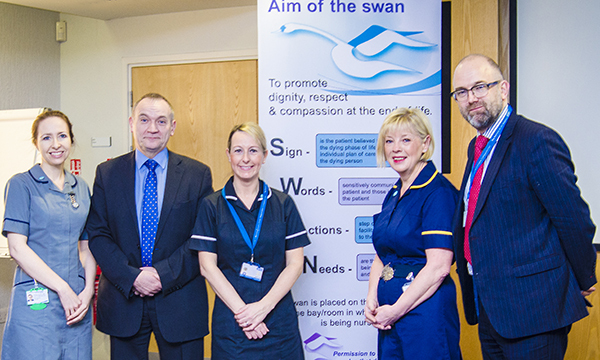 The sign also acts as a visual reminder for all staff to employ the principles of the Swan model in their care for that person and their loved ones, and reminds everyone, including other visitors, to be mindful of maintaining as peaceful an environment as possible. End of life is a difficult time for patients and relatives, with many choices available to them. The Swan scheme gives them the help they need to understand these choices, such as whether to sign the organ donor register and whether they would prefer to die at home. 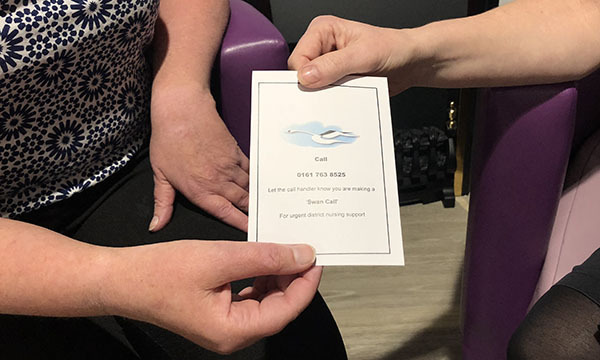 Relatives are given ‘memory bags’ for deceased patients’ property, and are encouraged to take locks of hair and hand prints, and to spend close family time together before bereavement. At the Northern Care Alliance NHS Group – which operates hospitals in Salford, Oldham, Bury, Rochdale and North Manchester – each hospital site has an end of life care resource room. This is accessible around the clock, and contains items such as memory boxes, comfort packs (which include basic toiletries, light snacks and a drink), personal message cards, foldable beds and blankets. 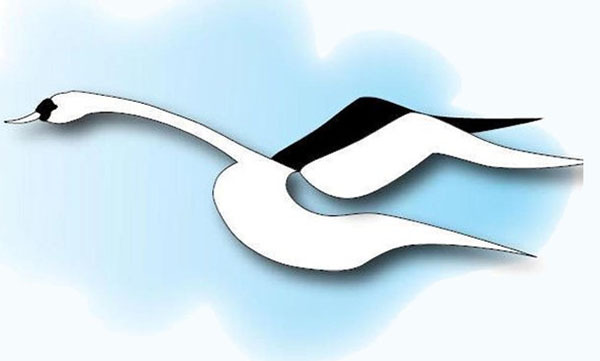 End of life and bereavement care teams wear uniforms bearing the Swan logo, cultural awareness posters about the model are distributed to all wards and departments, and free car parking vouchers are available for regular visitors of patients who are dying. Each hospital site also has a ‘Swan suite’ in the bereavement offices, where families and loved ones can make an appointment to collect a death certificate and receive compassionate care from dedicated teams in a peaceful and private environment. The Swan model supports generalists to be specialists in end of life and bereavement care. It empowers staff, giving them permission to care and to break the rules that don’t exist. Needs: Are the needs of the patient and family being met, documented and reviewed regularly? Needs: Are the needs of the family being met, documented and reviewed regularly?